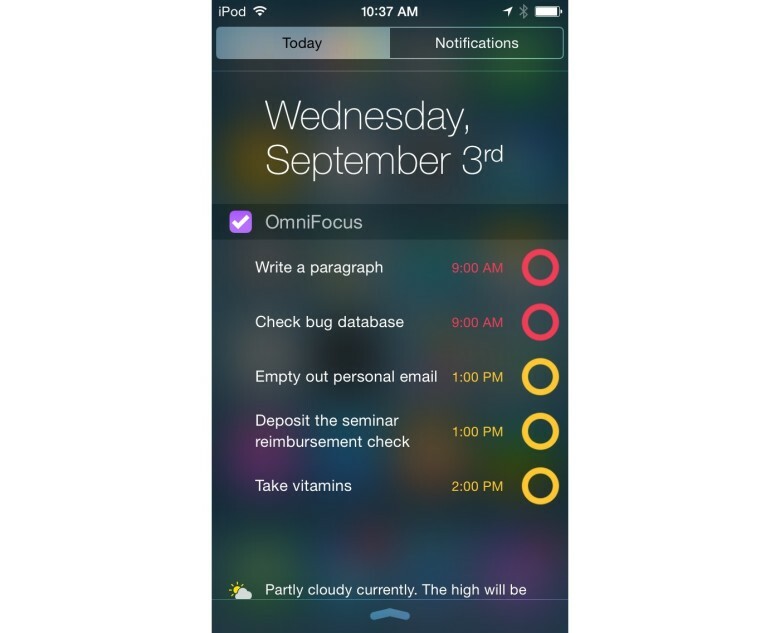 Extensions are coming to iOS 8, and Omni shows us just how cool they can be with a new version of OmniFocus 2 for iPhone plus the brand new OmniFocus 2 for iPad. OmniFocus uses Today and Sharing extensions. These put your tasks up in the Today view of the Notification Center, and let you check them off as you do them, all without opening the app. This will be huge for all reminder and to-do apps, not just OmniFocus, as it gives them functionality equal to the built-in Reminders app. OmniFocus also uses a sharing extension to let you easily clip text from other apps (like Safari) to create tasks, also without leaving the current app. I’m sure that Sharing extensions are going to be one of the biggest parts of iOS 8. Between these and the iCloud Drive, apps can share data and documents like never before.